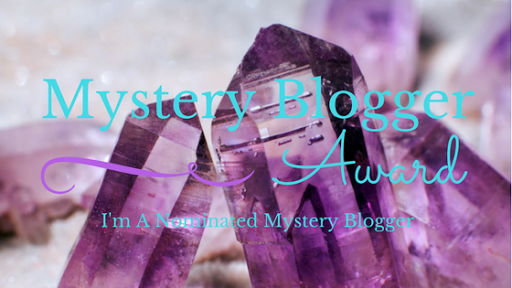 I’m nominated for the Mystery Blogger Award .It’s my second award and I’m so happy to share with others.Thanks for the support and the love which all my dear readers showed.A big thanks to Kivinana mam who nominated me for this award😆.I’m grateful to her for nominating me.Her blogs are more than awesome . Thank you,Okoto Engima ,for creating this award! 1) 🤔 I’m a simple and reserve girl who spoke little with strangers. 3) I love reading Novels especially Romantic Ones and writing stories,Poems . 1.What is your most favorite hobby? 2. Do you enjoy cooking, or do you enjoy being cooked for? 4 Your favorite movie is? Why? And second reason is I love the dialogues of this movie. 5.Music: Hip Hop, JAZZ, Pop, Rock & Roll, Blues, Country, Classical, Disco, Opera and so much more. Which one/s do you enjoy the most? I have no particular taste in music . It’s totally depends on my mood and I enjoy every kind of music (different Flavours ), Isn’t bad😎.I like hip-hop and Jazz more than any other. 1)Where you want to visit before death and why? 2) ( May you live long),What would be your last wish? Ps-Thank u so much for nominating me.You all are still amazing and my favourite.You can also participated in it by nominating other bloggers and keep this chain moving. Btw … we have one thing common is .. my favorite movie is also YJHD..
You have made a beautiful post. Thanks for carrying on the chain so more bloggers can enjoy meeting other writers and feel good about their blog having received the award. Wishing you many bright blessings. Enjoy the day.